The Education Ministry has sent out a directive for all teachers to be in their respective schools from today till Friday to prepare for the start of the new school year from next Monday. An official communication from the Permanent Secretary of Education Allison Burchell sent to teachers yesterday says if teachers are not present for all three days which is from today till Friday, this will be counted as leave without pay. However, the Education Ministry says if teachers can prove that they are still stranded they should inform the Human Resources Department or school heads so that this can be properly managed. The Education Ministry says teachers who are not able to return to their schools must attend student free days at a school near where they live to ensure that they are registered for the three days. 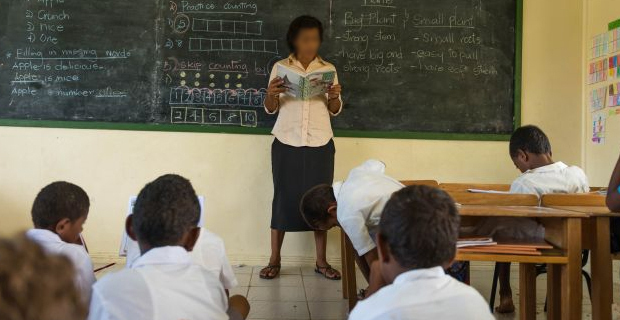 It also says with the Cyclone largely having passed and transport starting to operate again, the Education Ministry also expects teachers to be in their regular schools by next Monday. The email which was sent to teachers also says that this decision has been made after an internal discussion in the Ministry and also with the two teachers union. It is compulsory for all teachers to attend student free days.